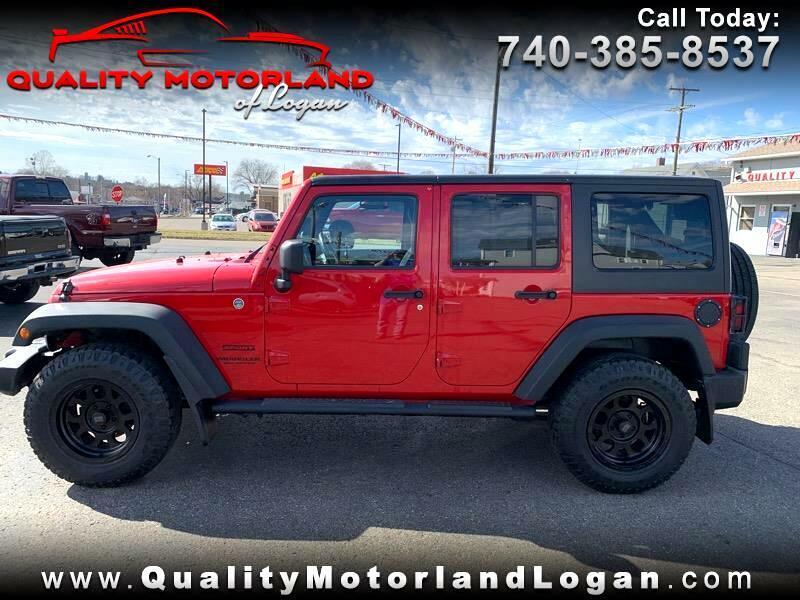 Used 2014 Jeep Wrangler Unlimited Sport 4WD for Sale in Logan OH 43138 Quality Motorland of Logan Inc. THIS ONE IS A VERY SHARP LOCAL TRADE THAT COMES WITH A CLEAN CARFAX. THIS JEEP IS BRIGHT RED WITH AFTERMARKET BLACK WHEELS, BLACK GRILL, AND TRIM THAT MAKE IT A REAL HEAD TURNER. THIS ONE DOES HAVE A FEW MILES BUT IT IS PRICED ALMOST $3,000 UNDER RETAIL VALUE! !